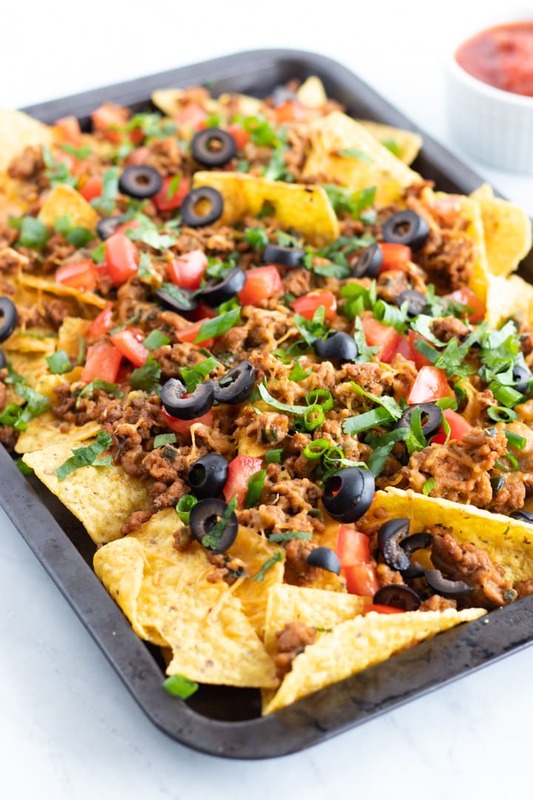 Easy Low FODMAP Sheet Pan Nachos – my take on the popular Tex-Mex appetizer filled with crunchy tortilla chips, tasty taco meat, melty cheese, and all the FODMAP-friendly toppings. Disclosure: This post is not sponsored. 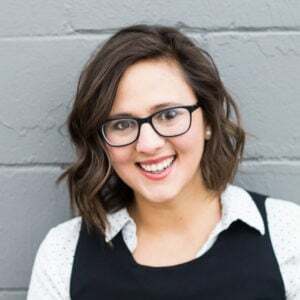 I am an affiliate of FODY Foods and occasionally receive new products to try out for free like their new low FODMAP taco sauce. All opinions are my own. Have you heard it’s Super Bowl season? Being from Minnesota, we rarely get to cheer on our beloved Vikings past the regular season. (It’s a good thing I’m a hockey fan. ?) So Super Bowl Sunday is a thing, but not like a BIG thing for me. But I know some of y’all take the Big Game pretty seriously. 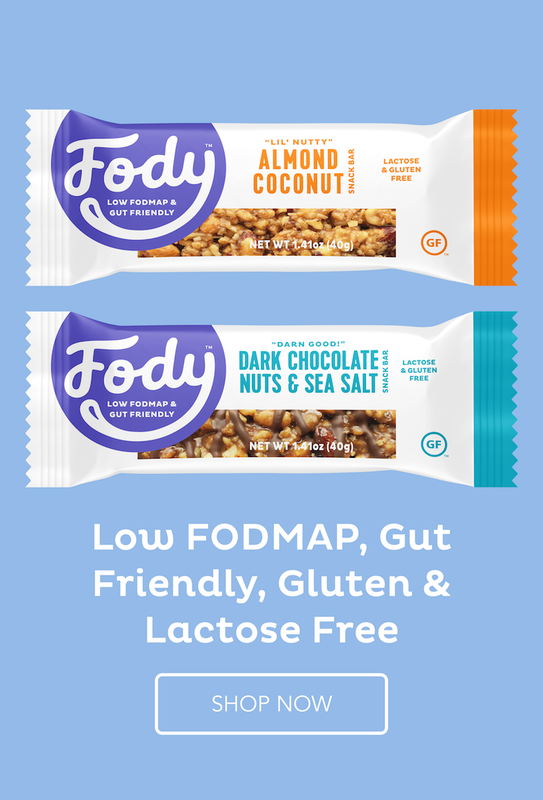 So today, I’m sharing a favorite FODMAP-friendly crowdpleaser. 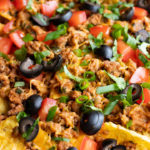 It’s Tex-Mex (so it kind of fits into the whole Around the World Wednesday theme) and delicious. 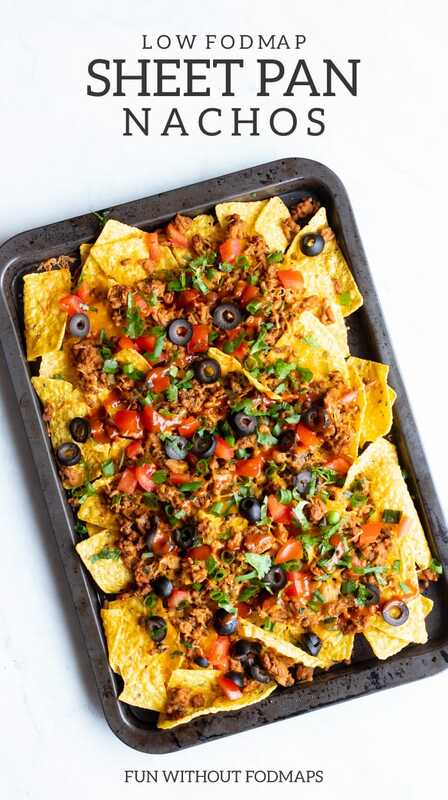 Plus, these Low FODMAP Sheet Pan Nachos are easy to make and easy to personalize to meet you and your partygoers’ needs. Once the base bakes and the cheese is nice and melted, you can add all (or some) of the optional toppings and serve. 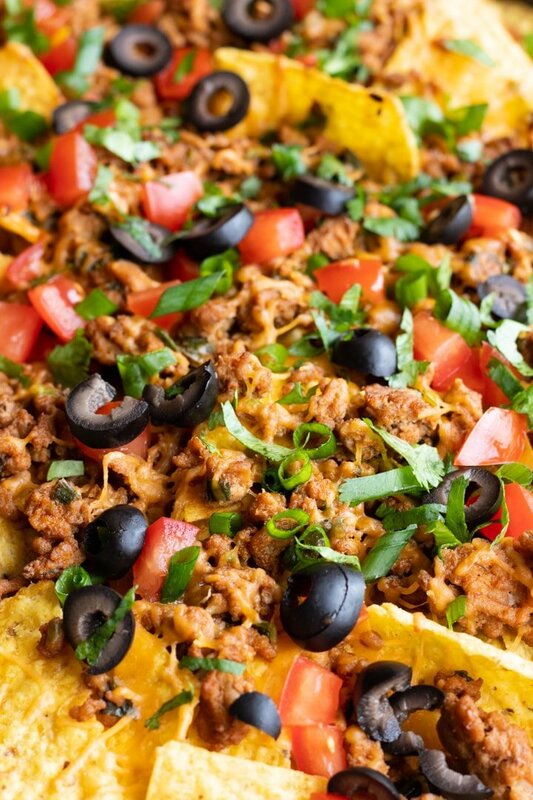 If you’re having this at a party, I sometimes like to serve things like this with all of the toppings on the side. 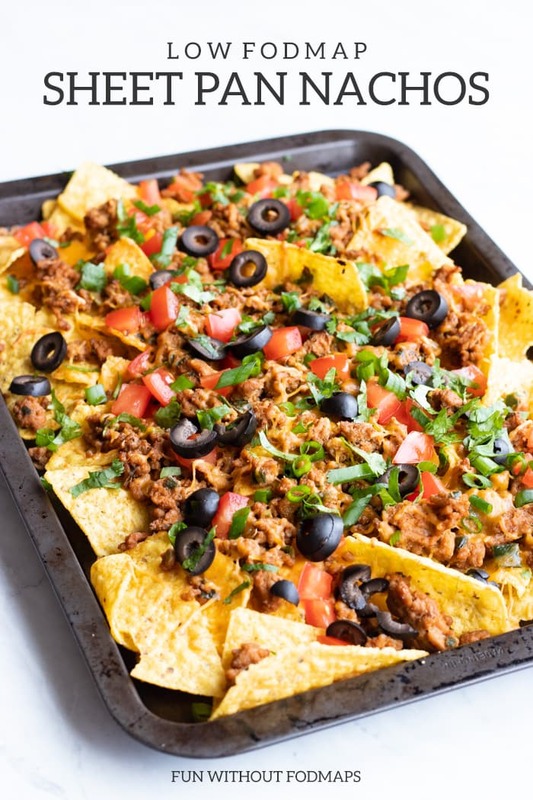 That way your partygoers can build their own nachos based on what they like and enjoy. Everyone wins (except maybe the Vikings). ? Heat olive oil in a large skillet over medium-high heat. Add leek leaves and optional jalapeno. Saute until leek leaves are bright green, fragrant, and soft. Add ground turkey and brown, breaking apart into crumbles, until cooked. Once cooked, add taco seasoning, stir mixture, and adjust seasoning to taste. (If you’re using homemade low FODMAP taco seasoning, you may want to add a little salt here.) Remove skillet from heat and set aside. 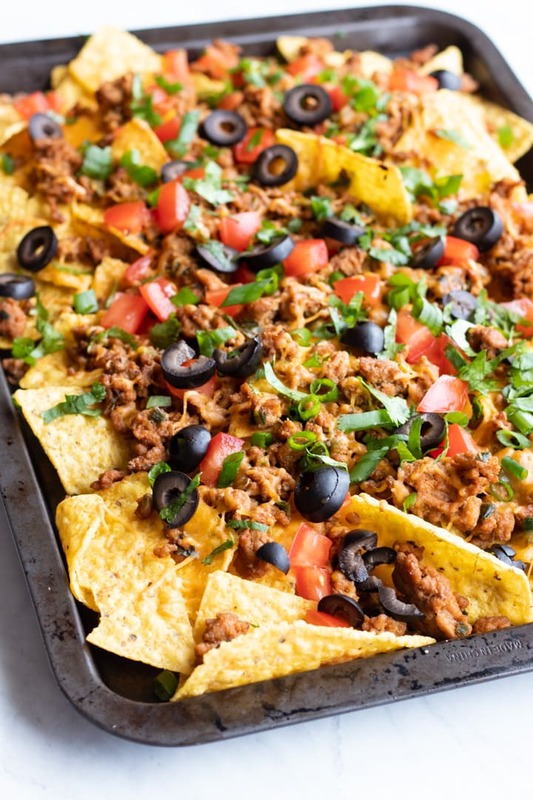 Place tortilla chips onto a rimmed baking sheet and spread into an even layer. Top with cooked turkey mixture and sprinkle evenly with cheese. Bake for 5 minutes.